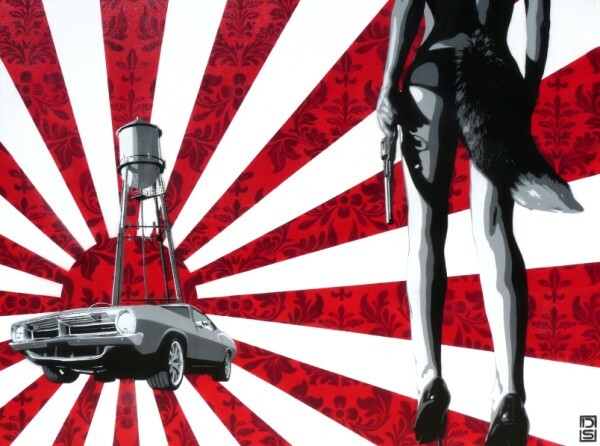 DS Art is a London based stencil artist. Much of his work has a cinematic quality and conveys a sense of place. That last sentence was suspiciously close to dancing about architecture, so just have a look and check out his gallery for more.